In addition to the wealth of unbiased editorial content, the magazine and its associated digital platforms present a variety of opportunities for companies to market their products and services. To find out more, request our 2018 Media Information booklet today. Mixed Media have provided invaluable support to our company via their digital marketing and print publication platforms. Their e-newsletters look modern, slick and informative and are a great way for us to promote our structural waterproofing case studies. 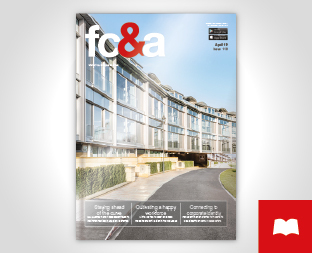 fc&a has also been a great way for us to promote our new Waterproofing App. The main reason we recommend and use Mixed Media for our clients is that they are, in our experience, a company of people that you can trust and easily deal with – there’s no more to add to that. In a day when more and more titles degrade their value by over-commoditising their content – with little thought for relevance or audiences – it’s great to work with people who strive to put the reader first.